Americans are drinking less Alcohol. 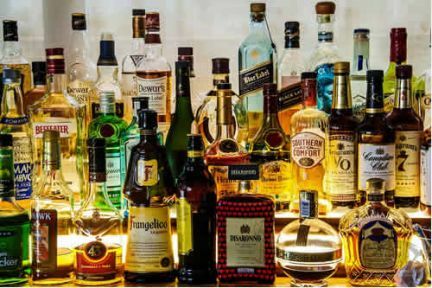 A report on the Wall Street Journal paints a less than positive outlook for the alcohol industry, and this has prompted the makers of liquors and spirits to look for alternative products as the growth in wine, spirits, and beer sales turn sluggish. However, many have started investing in the production of non-alcoholic spirits. The Wall Street Journal's research reveals that alcohol consumption in the United States for the past two years had declined. It was reduced by 0.8% in 2018 and 0.7% in 2017. The growth rate of the US beer industry is on the decline as beer consumption fell by 1.5%. The consumption of wine and spirits continued to grow, but this growth is already at a slower pace. Overall pure alcohol consumption, in per capita terms, has dropped as compared to the 1980 level, which was at 10.3 litres. In 2017, per capita alcohol consumption fell to 8.7 litres. There are several reasons eyed in the drop in alcohol consumption figures, and one of the most prominent among them is the growing health consciousness among consumers. American consumers are becoming more mindful of their health in the midst of growing obesity rates and disease statistics, along with the issue of health insurance in the country. Millennials, in particular, are paying more attention to what they eat and drink, and are involved in various health-related activities. In response to the declining trend in alcohol consumption, companies are adapting by investing in alternatives that can take the place of lost sales. Reportedly, major brewers and distillers are trying to capture the abstemious tendencies of the younger generation. Some of the biggest names in alcohol beverages are now producing non-alcoholic versions of their products or creating entirely new product lines that are alcohol-free. Smaller companies are also becoming aware of the trend; as a result they are developing beverages for the non-alcoholic preferences of consumers, coming up with products with appealing packaging and witty marketing like "what to drink when you’re not drinking”. The new products being created are not necessarily liquor or spirit substitutes. They can also be alternatives that take on a variety of forms, from teas to coffee, juices, and sparkling or carbonated water and beverages. The shift is also not limited to taking away the alcohol content from drinks. Some drinks can still be labelled non-alcoholic provided that their alcohol level is not more than a half of 1%. These drinks are designed to quench the thirst for alcohol without completely eliminating the intake of the substance. Experts, however, warn that these low alcohol beverages do not constitute a solution for alcohol addiction as some research in the past has shown that exposure to even the lowest levels of alcohol, as well as the flavour and aroma of alcoholic beverages, can trigger a relapse to the unhealthy alcohol habit.